Lee Maracle, a member of the Stó:lō nation, is one of Canada’s most prolific and celebrated authors. 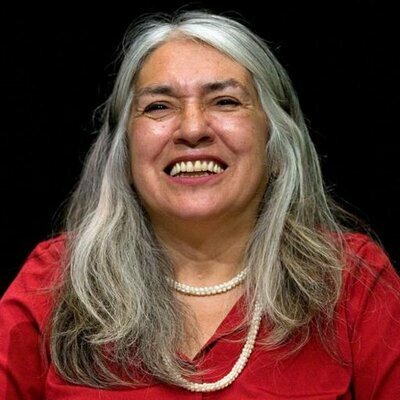 In addition to receiving the Premier’s Award for Excellence in the Arts (2014), the Anne Green Award (2016), and the Bonham Centre Award (2017), Maracle is an instructor in Indigenous Studies at the University of Toronto and the recipient of the Queen’s Diamond Jubilee Medal (2009) for her work encouraging writing among Indigenous youth. An exceptional author and teacher, Maracle’s diverse body of work includes poetry, short stories, collaborative anthologies, and novels, including the best-selling novel Celia’s Song (2014), which was longlisted for Canada Reads. Most recently, Maracle was appointed officer to the Order of Canada (2018) for her contributions to Canada's literary landscape.